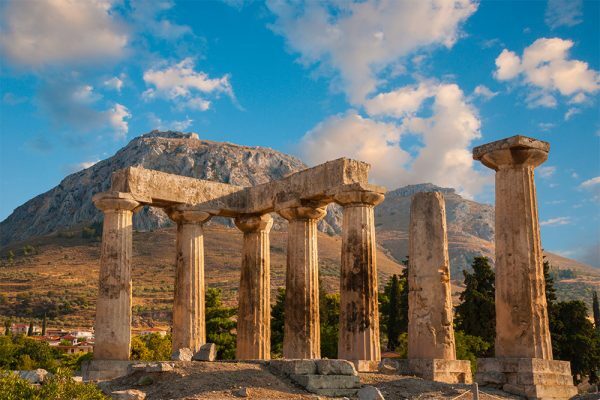 Ancient Corinth was an important city-state of ancient Peloponnese. It controlled an area which equates to the eastern area of present-day Corinth and the northeastern area of present-day Argolidas. Ancient Corinth controlled the key position of the Isthmus and was the most important commercial centre of the ancient world, until it was threatened by Athens. The focal points in Ancient Corinth are the archaic temple of Apollo, the road of Lecheou, Odeon, and the theatre. 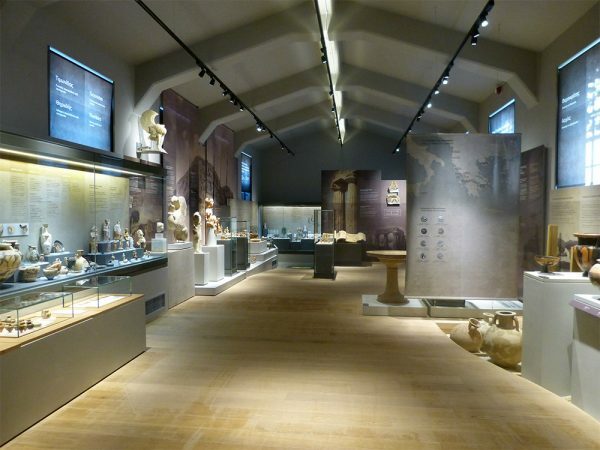 The site and the Archaeological Museum are open to the public. 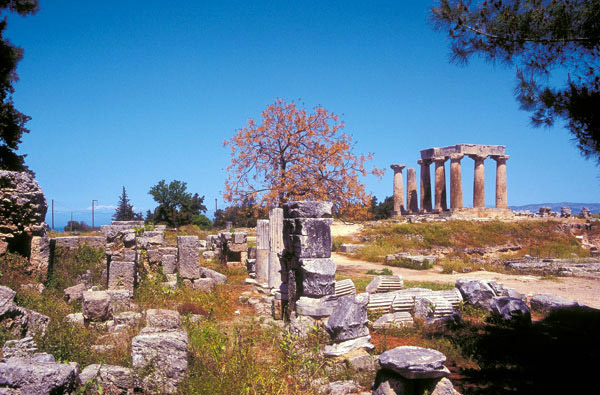 The ruins of the archaeological site give a clear picture of the large residential development, while the well-preserved Doric temple of Apollo (550 BC) is an irrefutable testimony to the prosperity of the city since ancient times. In the southwest of the ancient Corinth rises the rock of Acrocorinth in height 575 m. In the castle of Akrokorinthos three defensive fortifications were built with walls, bastions, lofts, trenches and well-fortified entrances. Inside there are remnants of temples for almost all time periods, and it is worth going up to the highest point where you will find parts of the base of the ancient temple of Aphrodite. From there the view is stunning. The uphill paved alley that brings you to the successive gates needs shoes that do not slip, water and a hat.